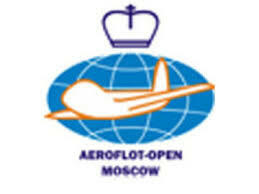 The Aeroflot Open is an annual open chess tournament played in Moscow and sponsored by the airline Aeroflot. It was established in 2002 and quickly grew to be the strongest open tournament; in 2013 it was converted to a rapid and blitz event, while in 2014 it wasn't held. The first event had around 80 grandmasters, while in the second event 150 grandmasters participated. The tournament is played using the Swiss system and the winner is invited to the Dortmund chess tournament held later in the same year, a tradition begun in 2003. Beside the main tournament (A Group), there are also B and C-class tournaments.